This module is targeted at Template based designs. A template based design is one in which an image is required as a product template to give a visual effect of the actual product to the customer during the design process. For example, TShirts, Mugs, Phone Casing etc are all template based designs because they require a product template unto which the design is placed, but not printed in the final output. A business card is NOT a template based design since we really don’t need an actual business card to be displayed in the design window. This module basically allows users to change the template image at design time without going outside of the editor. 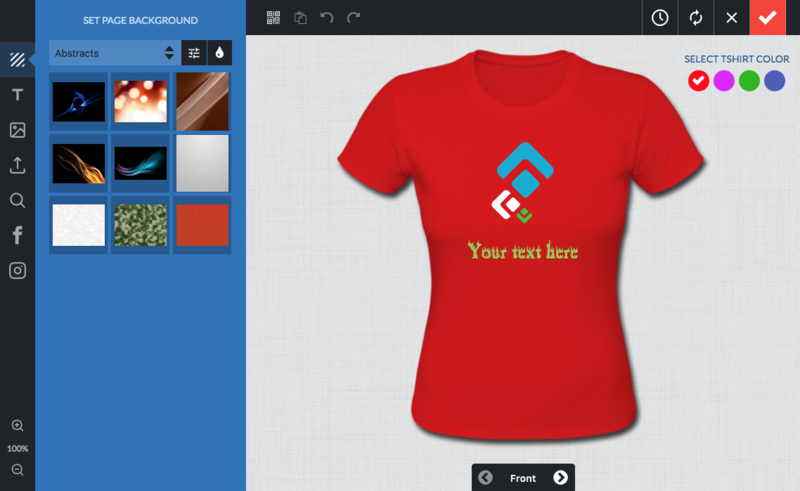 So for this example, we will consider a TShirt design where you will like the customer to try out different TShirt colors from your store to see which is best for their design by simply clicking on a color pallet. 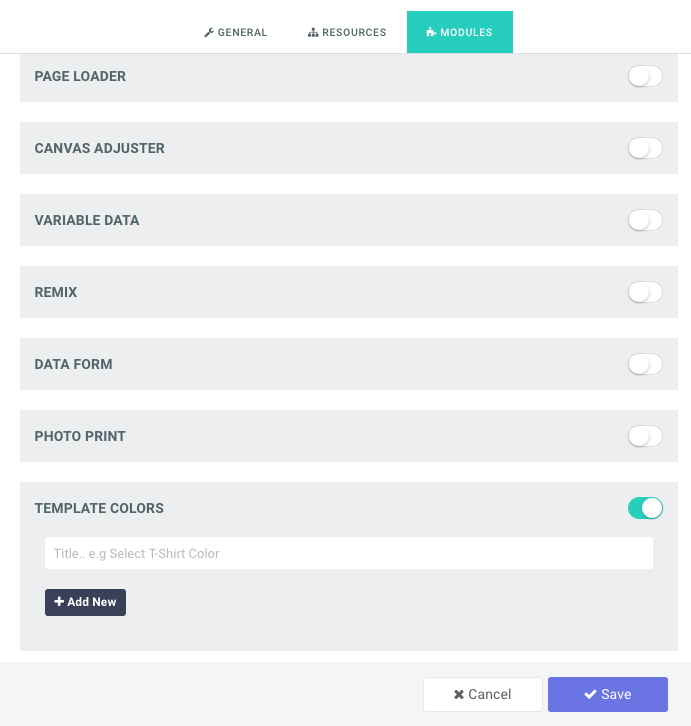 Create your template based design in the Admin Area. Click the Configure Design icon. In the popup window, click the Modules Tab. You'll see there is a Title text box, and a '+ Add New' button. If it doesn't show this, it means your particular design is not template based. Type in a title for the Module. To create a new color simply click '+ Add New' button. In the variant, you have a color rectangle default to red and a number image icons, representing the number of pages in your design. Click the red colored rectangle to set the color for this variant. 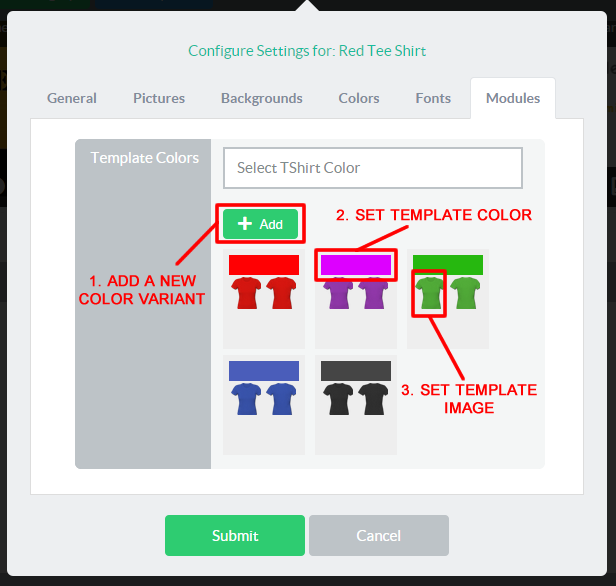 You should now click each of the image icons to set the template image that will appear for that color variant. You can equally upload your picture from that panel and immediately assign it to the module. You can add as many color variants as desired and once finished, click the submit button to save. Once you have finished, check your store and the module should appear in the designer for that product.